Cousins - We Put The Fun In Dysfunctional. Cousins – We Put The Fun In Dysfunctional. When I was a kid, my cousins were in Washington State, Northern British Columbia, and Ontario. Perhaps the fact that none of them lived in the same town as us made them all a little exotic to me, but I always felt like they were special. Even though we moved a ton while I was growing up, and I rarely felt strong ties to a place, I always felt like I was part of a tribe. A wacky rainbow circus tribe. We currently represent: Black, White, First Nations, East Indian, Vietnamese, Greek/Cypriot, Hispanic, Chinese, and Gay. We briefly had Transgender, and Wiccan. We do drama Jerry Springer style. We put the fun in dysfunctional. My parents and their siblings made an effort to get us together as often as possible. I’m so grateful for that. It was easiest with the 5 cousins in Washington because we could get in the car and drive to Spokane, or Wenatchee, or Seattle, wherever they were living at the time. We even visited them in Augsburg, Germany when my aunt took a job over there. I’ve always felt a strong connection to my cousins, and I want that for my daughter too. Even though my immediate family is small (one sister), I always felt like I came from a big family because of all the cousins. Now that I’m raising an only child, I take advantage of opportunities to get my daughter together with her cousins and 2nd cousins. I truly value those relationships. We spend summers at my parents’ place in Canada, and my sister and her family live about 5 minutes away. We hang out with my niece and nephew nearly every day and usually coordinate activities like swimming lessons so that we can all go at the same time. Sometimes it’s chaotic, and sometimes it’s a drag for the older kids to have their 4 year old cousin tagging along. Mostly it’s adorable though, watching that connection grow. Her cousins were in town for her birth, and have known her since she was 24 hours old. She has also met all 3 of her cousins on her father’s side, and formed a bond with her 25 year old cousin Pablo who moved from Guatemala City to Dallas. She has also spent time with 13 of her 2nd cousins! We recently got in on an amazing deal when laleo photography donated their afternoon to a fundraiser. 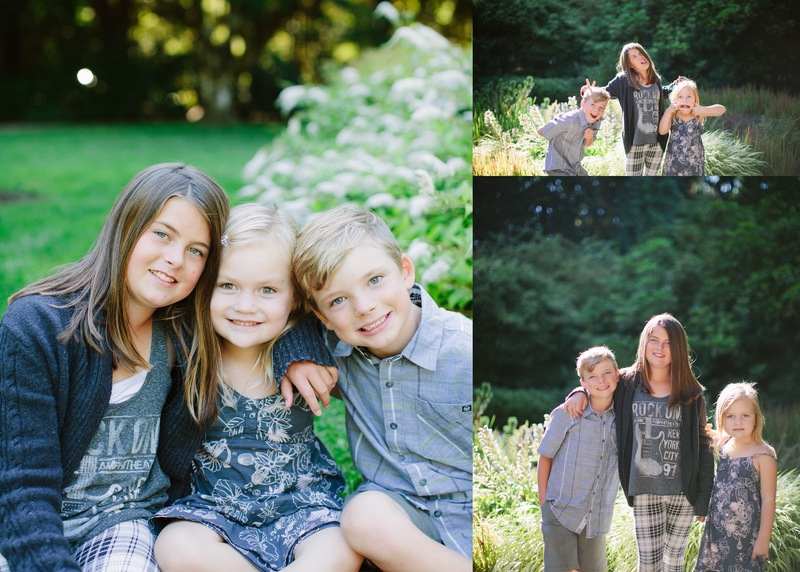 My sister and I each bought a 15 minute photo shoot, and decided that we would overlap them so that we could have some nice photos of the 3 of them together. I’m delighted with how they turned out. Photos from the laleo photography shoot. Later this month we’re having a family reunion. I can’t wait to hang out with my cousins, and Ebi is super excited about seeing some of her 2nd cousins again. Are you still friends with your cousins now that you’re grown up? Cousins are the best. One of my cousins is my best friend. Here's hoping you have TONS of fun at the family reunion! I have cousins in Albuquerque and boy did I think they were fun and exotic when they visited! Cousins are good for an only child (my daughter is one). Have a great time at your reunion! Those photos are cute! I am not that close with my cousins, but do see them frequently. We are all just very different people. We actually have more fun with our 2nd and 3rd cousins! Hope you reunion is a smash! Thank you! It's this weekend and the festivities have already begun!! Thanks! I'm super excited. My daughter is an only child too, and we spend a lot of time with my sister's kids. She's just four, but I can tell that she understands the special relationship between cousins. My children and their cousins are very close in age. We don't see them very often; but when we do they always have the best time together. Have a great time at your reunion! Same blog and everything…just different name!